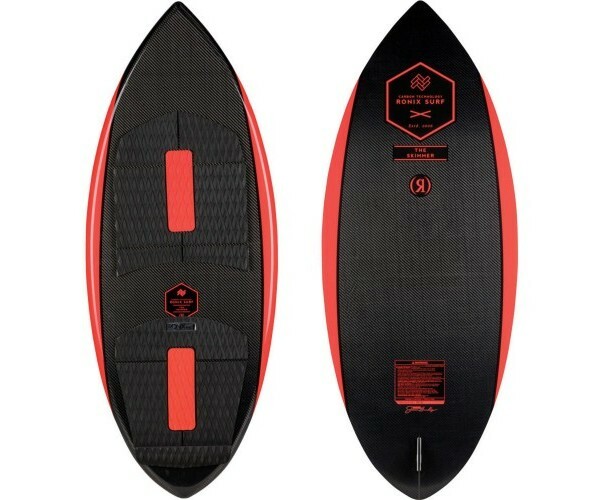 The Carbon Air Core 3 Skimmer is Ronix’s most true skim style board to date. This high-performance board is designed and built to open up a whole new spectrum of tricks behind the boat. Designed for team rider Reed Hansen but enjoyed by all, the Carbon Air Core 3 Skimmer Wakesurf Board is Ronix’s ultimate in high-performance skim style. Built to provide more contact with the water and more feel for the rider, unleash your full arsenal of tricks while riding this bad boy. The Skimmer features a traditional skim outline and is jam-packed of innovative surf technology for a truly advanced ride on the water. 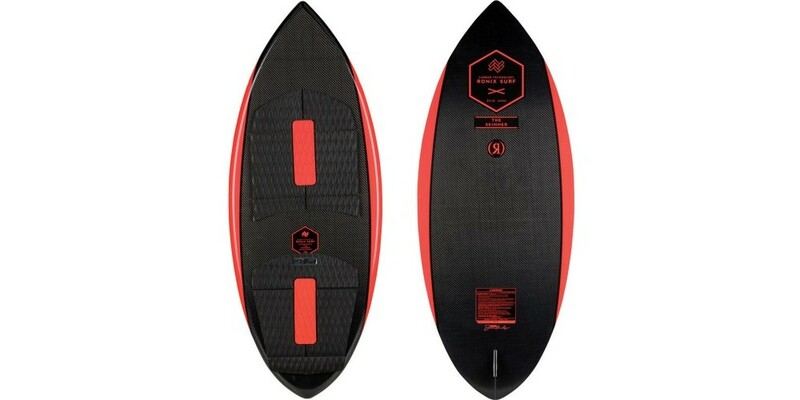 The Carbon Air Core 3 is the most responsive wakesurf core construction that Ronix has ever produced. Its lightweight Air Core foam is wrapped in an all carbon shell that improves its overall while creating a torsionally stiff layup. Using Ronix’s all-new liquid lava high temp surf resin, this board can withstand the hottest days of summer and last you for many years to come. New for 2019, air vents have been inserted to prevent the board from delamination when temperature changes cause the air to expand or contract. • Hide With Embroidery Grip • 3mm Thick Memory Foam • 1.15” Handle Diameter • 7” Foam Floats Fo..